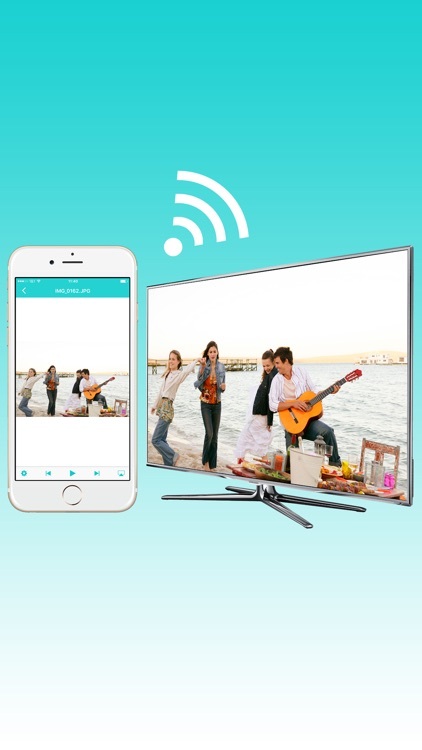 Cast photos, videos & music from you iPhone, any media server on your PC and your NAS to a Smart TV or any other UPnP / DLNA compatible Media Player. No in-app purchases, no hardware, no downloading, no internet traffic! 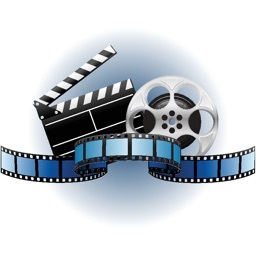 The easiest casting app for all your media - but there is a lot more! * Cast your iCloud media files to TV! 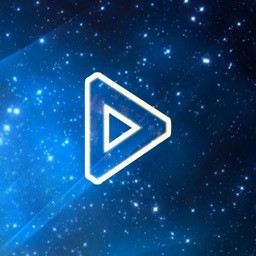 * Start other Nero mobile apps from Nero Streaming Player! * Easily send your feedback regarding improvements and issues! 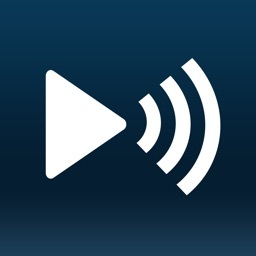 * Use your iPhone/iPad as remote control while casting videos & music: regulate the volume, pause, stop or skip titles! * Zoom in or rotate your photos while casting photos – with intuitive 2-finger gestures! * Sort your music by interprets, songs, albums or genres and stream it to Sonos or any DLNA receiver! * Works with any HomeKit-enabled accessories. Just setup your accessory in the Home app and define a scene that should be run when launching Nero Streaming Player. 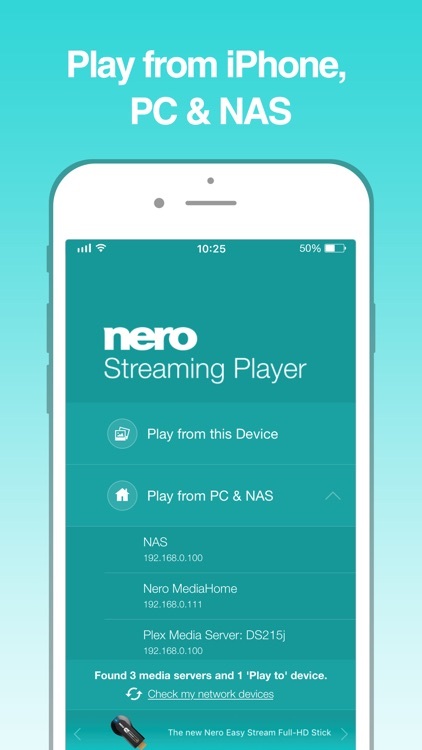 Installing Nero Streaming Player allows you to play photos, videos & music from your iPhone or iPad to your Smart TV or DLNA receiver. You do not need any HDMI cable, cast hardware, or additional applications. Using DLNA standard, no configuration is required. 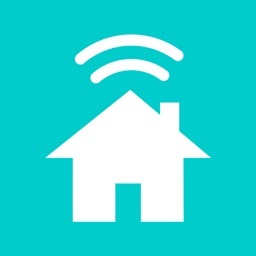 Just connect your iPhone, your PC & NAS and Smart TV to the same WiFi network and get started. Open the app and select a photo, video, or song and click on the TV symbol on the lower right corner. A list of all your target devices in your local WiFi network will be displayed. Choose one and bring your media to the big screen or your audio system with this simple DLNA player! * How to play media from PC & NAS to Smart TV using Nero Streaming Player? 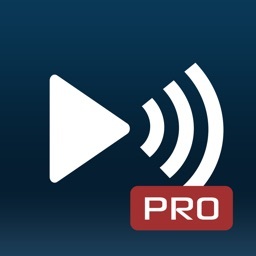 Just launch the uPnP / DLNA compatible media server on your PC and NAS. Nero Streaming Player will show a complete list of all available servers. Select your preferred one and browse or cast all media located on your PC & NAS. * You do not have a media server, yet? Please note: Your mobile device and your WiFi enabled PC, NAS and Smart TV need to be on the same WiFi network. 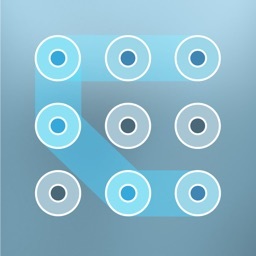 It is highly recommended to use only in private and secured wireless networks.